Huw left me a message on Instagram the other week letting me know they had a 58cm frame in the next order due, so a few quick emails later and I had sent my deposit through. That started me down the road of thinking how I was going to do the build. This will be my commuting, road and CX dabbling bike, replacing my Voodoo Dambala SS MTB commuter and Kenevans Road bike. Initially everything that’s on the Dambala will be transferred over to get me up and running in a day and then it’ll be a process of upgrading/swapping new parts in. Have placed an order for some HED Belgium Plus rims and a White Industries CLD rear hub and am about to place an order for a SON delux CLD front hub. Apart from a Salsa Cowbell for cockpit and retaining my Cambium C15 I’ve not thought of much else. This the same for my Kumo, except Pacteni rims and C17 saddle. What lights did you end up going with? Edelux 2 up front and I’ll just keep using battery ones on the back. ^ Damn right. great light. ProTip, always buy the fender mount version. 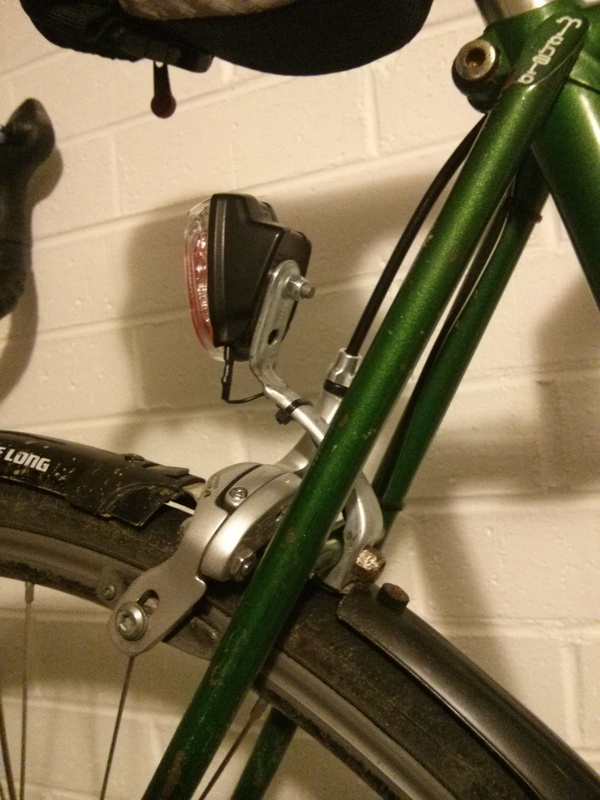 You can mount it to stays/seatposts/brake bolts even easier than the wonky ziptied stay mount version because the bolt hole and plastic nub are the same spacing as reflector bracket holes. Eg, vintage cateye reflector bracket stacked on a brake bolt. So, is anyone doing a bike24 order anytime soon? I’ve already done mine for the year, and stupidly forgot to get a rear light despite getting one for someone else on the same order. just email them and say the rear light never turned up? Are you getting cheap euro shimano group? Don’t forget the toplight small if you have a teeny rack area for a discreet light. Based on the Schmidt rear. Classic halbot, introducing options after I’ve made a decision. Fortunately the seat post mount secula is pretty much made for the job. Noice. I’ve got a couple of those cross brackets lying around if anyone wants one.